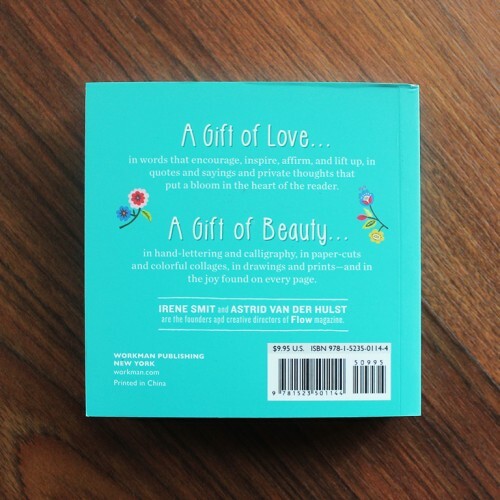 Relish life, love, and friendship—and share it with everyone you love. 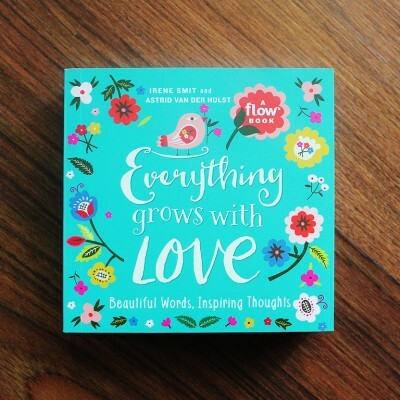 Created by the editors of Flow magazine, Everything Grows with Love features dozens of uplifting quotes and sayings in original graphics and hand-lettering by 20 contributing artists and illustrators. 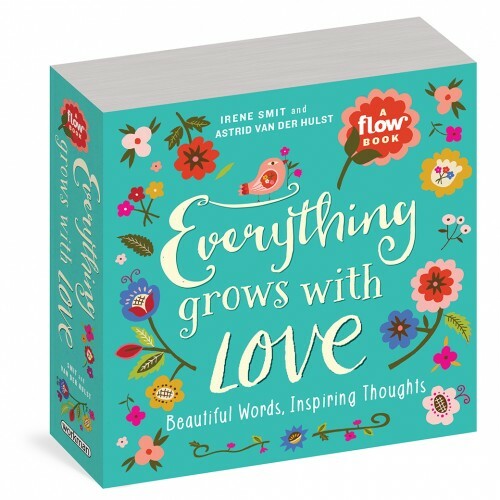 On each page, affirmations, motivational sayings, and quotes are illuminated in gorgeous calligraphy, playful photomontages, and exquisite embroidery. 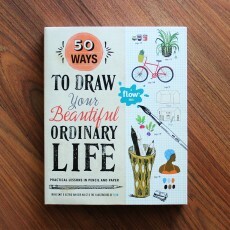 These are sweet expressions of inspiration and wonder: From little things big things grow. You’ve got to have a little rain to make a rainbow. Love is all you need. Collect moments, not things. Life is beautiful. Be happy, so that when others look at you they are happy too. Perfect for Valentine’s Day, wedding showers, birthdays, or simply as a pick-me-up for a friend or relative, it’s an ode to creativity, inspiration, and, above all else, love.